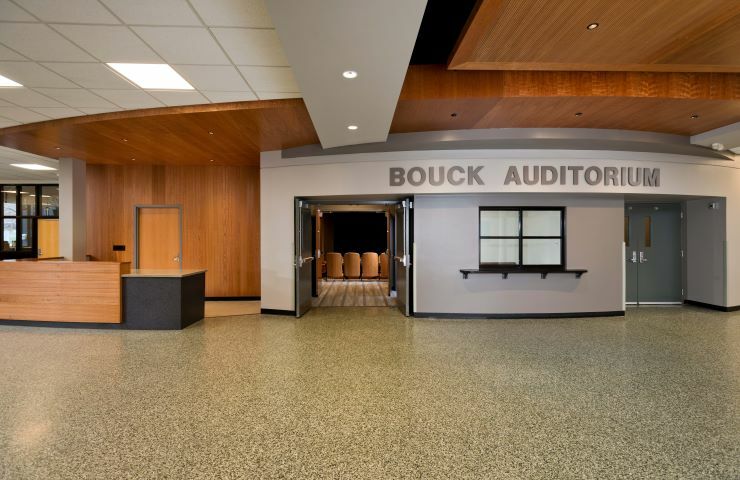 SUNY Cobleskill - Bouck Hall Renovation - Hoosick Valley Contractors, Inc.
Hoosick Valley Contractors was the general contractor to perform a full renovation of the theater, lobby, and gymnasium at SUNY Cobleskill’s Bouck Hall. 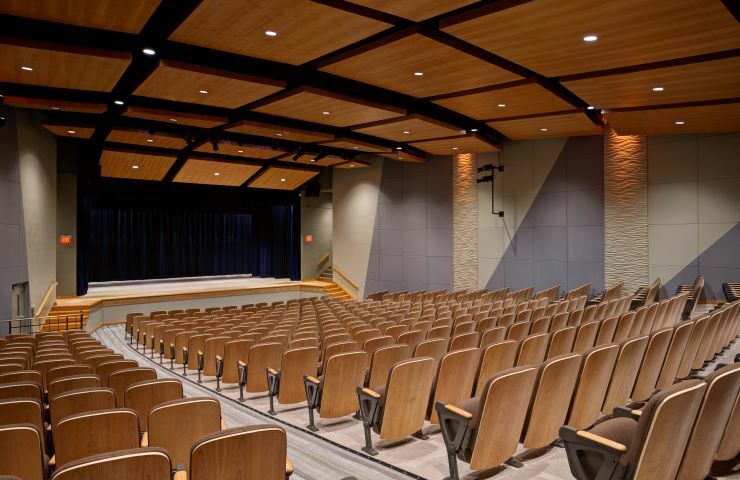 The theater received a full cherry wood and fabric acoustic treatment, along with a state of the art sound and lighting system. The building lobby included cherry wood accents with custom wall panels and ceiling clouds. 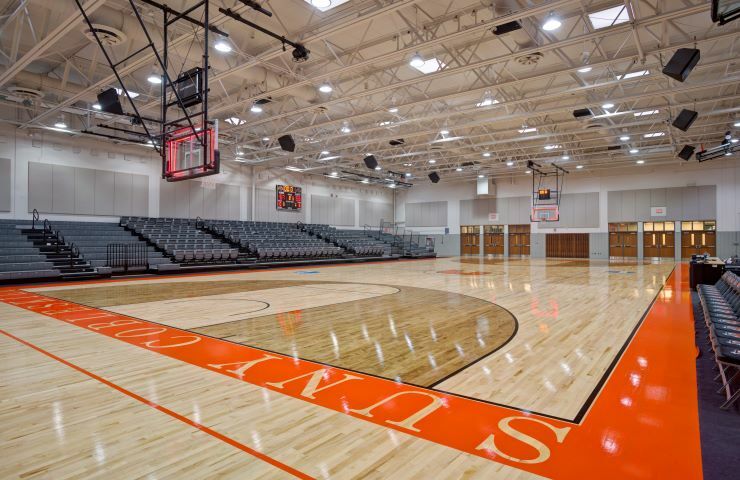 A new athletic floor system, paint, and sound system were installed in the gym. The entire project included all new mechanical, electrical, and fire suppression systems. 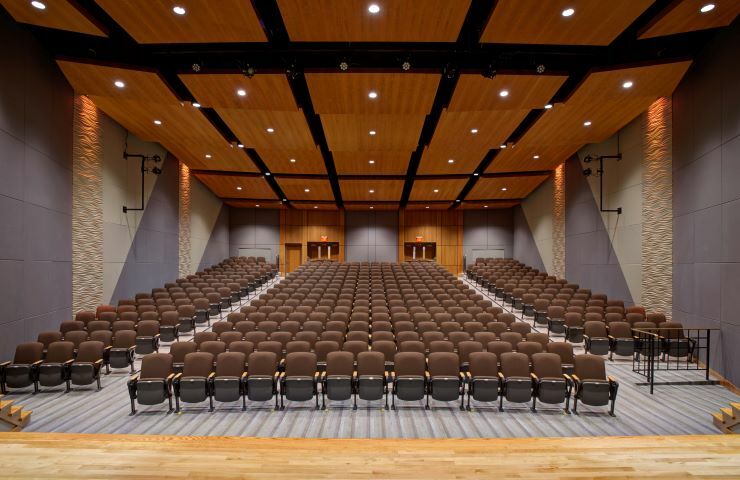 The end result is a truly modernized campus space for SUNY Cobleskill.